Do you have some boring home videos that are screaming for attention? Do you have a school video project that is lacking pizzazz? Do you have photos that you want designed into a professional DVD slideshow? We can help!!! 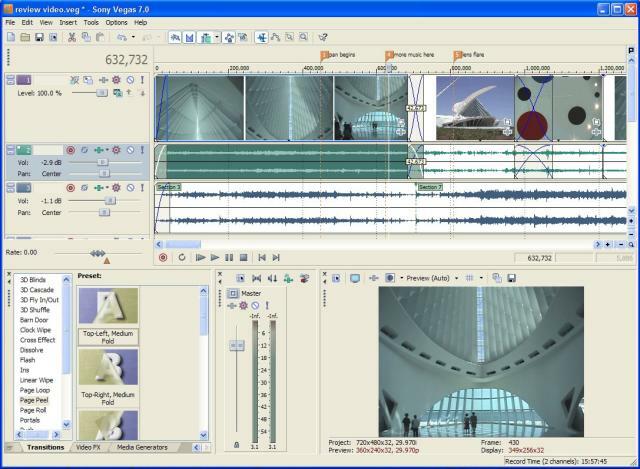 With the use of our professional editing software and equipment, we can make you a customized edited video to your specifications. Whether it's a soft and romantic segment, a corporate advertisement, or a fast paced rock video, we have the tools to make your raw footage into a professional looking motion picture. We can add music, introductory titles, special video and audio filters, slow motion, 3D scene transitions, scrolling end credits, and much more. The cost of editing third party video is dependent upon the amount and quality of the client's footage, the recording format used and the style desired for the requested final product. Our online pricelist details our current fees for all our services. This is becoming a very popular service. Just about everyone has old footage of kids growing up or other family videos stored in a closet somewhere in the house. We can transfer all your VHS and camcorder tapes to DVD complete with a menu and chapters. We use the DVD-R format which is currently the most compatible form of recordable DVDs. We can also design a custom DVD insert and a movie style case for your video. Prices start at $20 per DVD for up to 2 hours of video. Extra copies are $10 per disc. Our online pricelist details our current fees for all our services. Video Formats that we can transfer: VHS, mini-DV, Digital 8, Hi8, Video 8, various media cards (SD, compact flash, memory stick, XD, etc), and VCD. Please note: We cannot transfer film (8mm or 16mm) to DVD. We cannot transfer Betamax. We can only transfer VHS-C if the client provides us with the adapter cassette.